Occasions: great for casual day use and for teen-agers as school backpack. Also good for travelling and shopping. The most popular school bag for girls and boys, teen students. 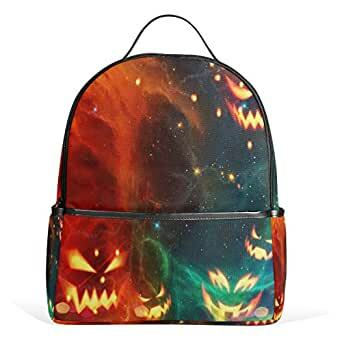 Durable and comfortable, the useful backpack makes it easy to transport necessory school suppliers from home to dorm room to class and back again. Our bags are upgrade fast to keep with global fashion. The padded and adjustable shoulder straps make sure that your childyou will be comfortable and able to carry notebook, laptop, phone, wallet, bottle, pen. Notice Due to the difference between different monitors, the picture may not reflect the actual color of the item. Please allow 1-3mm error due to manual measurement. Thanks! This bookbaghas padded back and padded shoulder straps for cushioned comfort.